A new leak about the upcoming Halloween Event of 'Overwatch' surfaced online revealing details. A new leak recently surfaced online, revealing details on the upcoming Halloween event of “Overwatch.” It appears that after the summer event, another activity will keep the players of Blizzard’s popular first-person shooter busy. Last year, a Halloween event featured some of the best game skins. This includes Witch Mercy and Pumpkin Reaper. It also launched the first PvE event in the game, dubbed as Junkenstein’s Revenge. On Reddit, a user named darthchiapet shared a couple of images giving away details on the alleged upcoming “Overwatch” event. One image shows a poster for the upcoming event with promo images of several heroes in the game, including Pumpkin Reaper. The other image contains text, which gives details about the Halloween Terror 2017. The second image shows the text GME, which is the stock market symbol of Gamestop. The text POSA is an acronym that means point-of-sale-activated. This may be connected to the balance cards shown in the first image. In other words, the cards will only be activated when the cashier does so at the checkout counter. The second image also contains the date October 9, 2017. Usually, the event announcement is made a day before the activity. The next day falls on a Tuesday, which is usually the day most developers roll out updates and other activities for the game. It also makes sense that the activity starts on either October 9 or 10 and would culminate by the end of the month. While the latest leak excites many players, there are others who are doubting its authenticity. Some fans believe that the poster used the skins that were used in the previous event that took place last year. 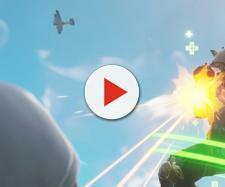 Other fans claim that the old skins are used in the poster of the upcoming event to conceal the highlight of the event. According to this claim, Blizzard knows that the marketing material would be leaked before they officially announce it. 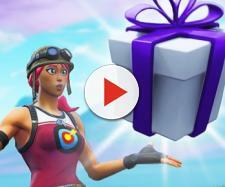 By using the old skins, the developer could still keep the excitement about the first look of the skins or loot crates on their launch day or until the official announcement trailer is released. Last year’s Halloween Terror event commenced on October 11. Regardless of the authenticity of the leak, players must keep an eye on all these dates so as not to miss any announcement for their favorite first-person shooter game. “Overwatch” is playable on PC, PlayStation 4, and Xbox One. 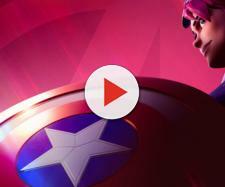 Additional news about "Overwatch" includes details on a new comic as well as information about the forums.